William Martin Joel is a full name of the singer and composer who has become one of the most popular and sold musicians for all history of the USA. And for the people of the former Soviet Union, he is an artist who has opened a window to the world of the western culture. 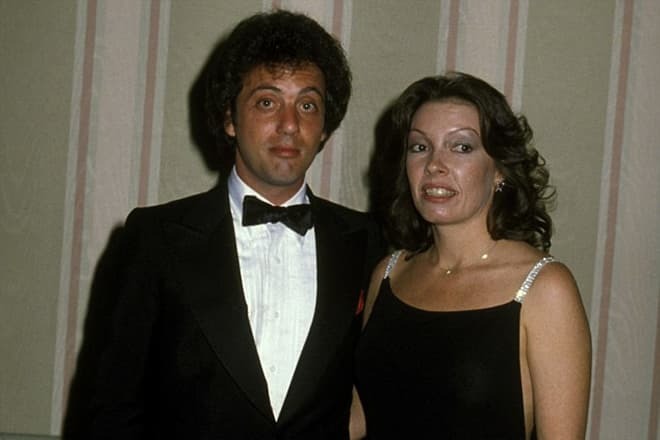 Billy Joel was born on the 9th of May, 1949 in the Jewish family. Since early childhood, the future singer has imparted the love for music. His father is a classical pianist. In his spare time, Howard Joel (the musician's father) had a rest at home, playing classical music on the piano. At the age of four, Joel began piano lessons. For such hobby, the boy was teased in the yard, and sometimes he even returned home with bruises. This situation has encouraged Billy to take up self-defense lessons and to become a boxer. Young Joel has taken part in twenty-two fights on the ring. He left box quickly after he had his nose broken. Billy attended Hicksville school and studied badly. After the divorce of his parents, his father left to his relatives in Australia. Joel helped his mother, playing in the bar in the evenings to earn some additional money. At the age of sixteen he began to perform as a keyboard player in the street Echoes group, and sometime later this band became popular in New York. Since that time the future star of the scene decided that studies were not for him, and dedicated all his spare time to the music the music. He even left his studies at school. Though, it's worth noting that after all the musician received the education, having passed the examinations in 1992. 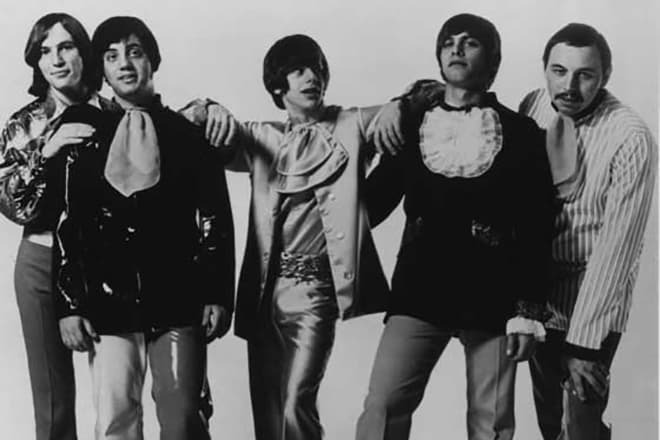 After the Echoes group had gained popularity and became well-known among New York contemporaries, the participants of the bands changed their name several times. Some years later Joel left the band and joined new collective – Hassles. This group has released four singles, but unfortunately, none of it has become recognizable and hasn't been appreciated by the listeners. After the failure of Billy together with Jon Small who also was a member of the Hassels band they created the duet called Attilia. This duet released the same-name album recorded at the Universal studio. The album wasn't successful and even didn't appear on the market – the listeners didn't understand such music. The band broke up not only because of the failure of the album but also because Joel had stolen his partner’s wife. All these failures have badly influenced the musician’s health and led to the long-lasting depression and attempt of committing suicide. Fortunately, the doctors have managed to save his life. Joel left the psychiatric clinic where he spent a week after he had tried to poison himself and decided to begin his solo career. In 1971 he concluded the contract on solo performing and released his first solo album under the title "Cold Spring Harbor." However, he hasn't become famous. The "Piano Man" song released in 1973 became the first hit which got to the list of twenty best songs of the American chart. This single is still considered to be a "business card" of the musician. Then Billy Joel released four more albums, but the album under the title "The Stranger" released in 1977 was a real breakthrough. The disk has gained such huge success that the artist had to perform at fifty concerts over three months. The brightest and the most stylish album came out in 1983 under the title "An Innocent Man." The songs from the album became hits in America and Great Britain: the hit "Tell Her About It" headed weekly charts of 100 best American singles, and the "Uptown Girl" composition conquered the hearts of British listeners and became the first in the charts. The videos shot on the main hits of the album which were shown on MTV channel became the main secret of its great success. In 1986 the new album "The Bridge" was released. The composition "A Matter of Trust" became the hit of this album. Joel got to the Soviet Union with this album. In 1987 he became the first musician from America who performed for the Soviet audience. It was a real furor. He gave concerts in Leningrad and Moscow, and only party officials received the tickets to this performance. As a musician remembers, it was almost impossible to rock such listeners. Few minutes after the start of the show the audience began to leave the concert hall, and the young people gathered near the entrance. People who were leaving the concert just gave their tickets, and the Soviet fans rushed to the hall where the musician played rock'n'roll. During the concert, people took photos and shot video. In 2014 the video was released on DVD. The visit of the American musician to the USSR became a real revolution in the consciousness of the Soviet public. The documentary "A Matter of Trust: The Bridge to Russia" which came out on the screen of Channel One proved that. 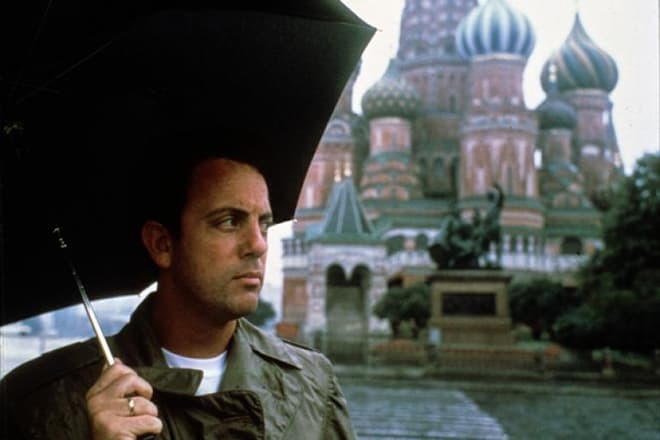 The movie tells about singer’s impressions and memories and about the way he managed to break in the USSR and also about the influence of his show in the Soviet Union. The singer wanted to break the myth about the American enemies. He even arrived in a company of his family. But the Soviet tours led to the loss of one million dollars and dismissing of the musician’s impresario. In 1993 after the release of the album "River of Dreams," the singer announced that he wanted to be engaged in the composing of the classical music. Sometimes there appear the records of solo concerts. During the night of approach of the new millennium (2000) Joel gave a three-hour solo concert at Madison Square Garden. The fragments from this concert were broadcast online on the USA television. Not only the artist’s career was saturated but his private life as well. Billy was married four times; he is still in marriage with his last wife. What about his first wife - Elizabeth Weber, he has stolen her from his partner in the Attilia group – Jon Small. The couple has lived in marriage for nine years (1973-1982). 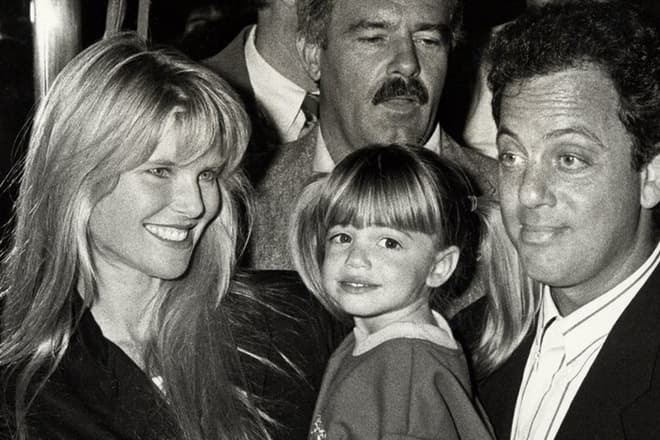 The supermodel Christie Brinkley became the next wife of the composer. A couple of months after the marriage his wife gave birth to his daughter. The parents have called the girl Alexa Ray Joel. His daughter continued her father’s business and became a singer. There’s an interesting fact – the second marriage of Billy lasted for nine years – in 1994 the couple announced the divorce. 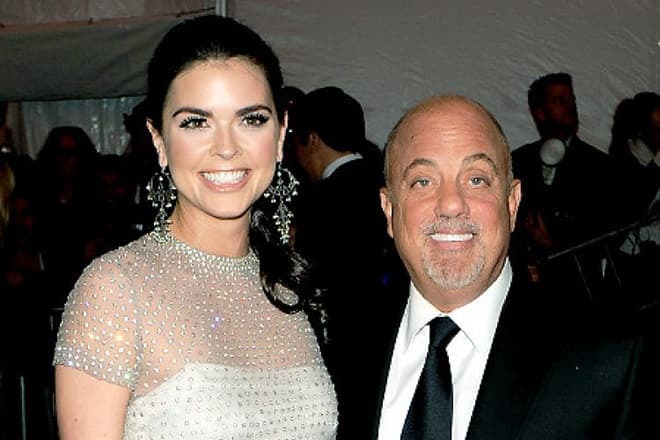 The 27-year-old Katie Lee became his third wife. When they got acquainted, Joel’s future spouse was writing recipe-books. The relationship between the 60-year-old performer and the young girl lasted for five years. After the divorce, Katie received the four-story townhouse. They divorced in 2009. The same year 2009 the singer got acquainted with Alexis Roderick. But the couple got married on the 4th of July, 2015, a month before their daughter's birth. On the 12th of August, 2015 the newlyweds became parents of their daughter Della Rose. 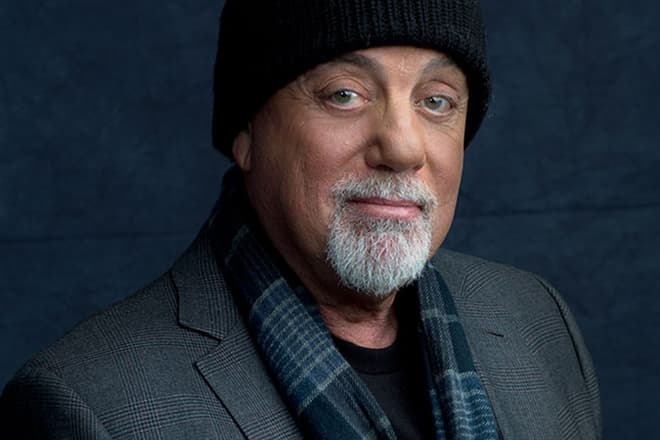 Billy Joel again became a father at the age of 68. 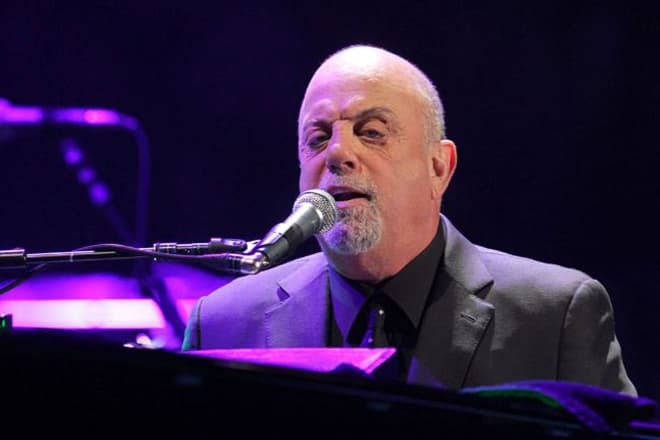 Billy Joel’s last large-scale tour took place in 2006, after thirteen years of the silence. Within this tour, the singer visited Ireland and England. He has kept his promise and got engaged in composing of the classical music. More often he appears as a composer. At present, you can quite often meet the musician in the concert program of the idol Elton John. The musicians are colleagues and good friends. Joel’s elder daughter successfully builds the singer's career, and the younger daughter is 2,5 years old. 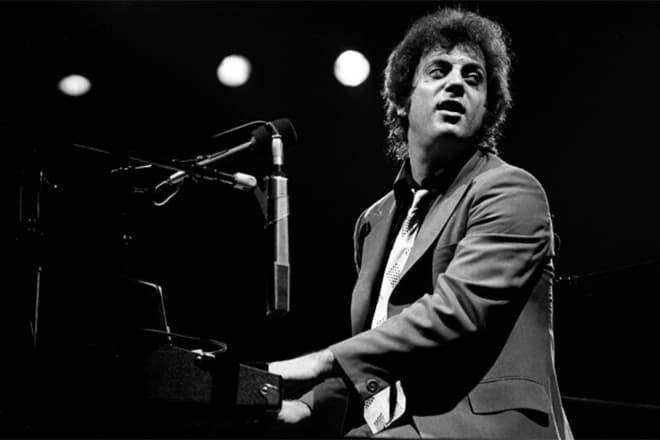 One more achievement in Billy Joel's career was the fact that he received six Grammy awards. 2001 — Fantasies & Delusions.